The 2007 vintage seems to have been more successful for the white wines than for the red wines. I am using the word "seems" because eventually time will tell. As Beverley Blanning MW comments in Decanter: "The wines certainly have lovely pure and delicate Sauvignon-dominant fruit - perfect for early drinking - but it's not clear if they have the acidity or fruit concentration to be long-lived." 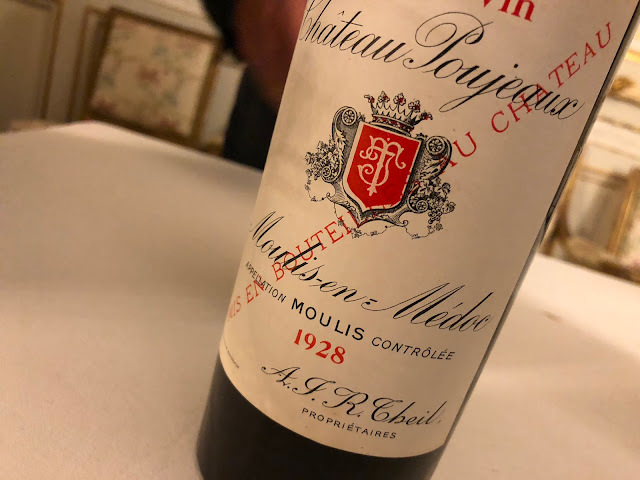 This week I tasted four white 2007s, some meant to be drunk early (or at least not after a long period of cellaring), some also fit for the longer term. And yes, all four showed "Sauvignon-dominant fruit". 1. Château Roquefort 2007, Bordeaux blanc sec. Meant for early drinking (2008 - 2010). A very good continuation after the delicious Roquefort 2006. The 2007 (still) comes across lean and clean - especially compared to the somewhat broader 2006 - and with a little youthful sweetness in the nose. In the mouth the 2007 is very refreshing showing a little more acidity than the 2006. Lovely wine, again. 2. Château Reynon 2007, Bordeaux blanc sec. Quite famous white Bordeaux from Denis Dubourdieu. I can see this is a good wine, but I do not like it. At least not in this stage. It displays (no, it shouts out) very animal Sauvignon characteristics that makes me visualise dampy armpits. Even in the mouth it is still stinky, so that's quite an accomplishment. Besides that the wine seems 'well made' (terrible thing to say, something like an 'interesting' wine). 3. R de Rieussec 2007, Bordeaux blanc sec. The dry white wine from Château Rieussec (Sauternes). For two reasons I had expected a great wine: 1) Château Rieussec is always very good and 2) I expected more or less the same style as from "Le G de Giraud", the fabulous dry white from Château Giraud (also Sauternes). But the R de Rieussec came across more average. It is definitely good, but not special. It lacked some concentration. Not a wine that I do mind drinking, it is nice and in a modest way complete, but just not really convincing. 4. Château Couhins 2007, Cru Classé de Graves, Pessac-Léognan. Wow! (to start with). I was alerted by Decanter, they were enthusiastic about this wine. Couhins is separated from the better known Château Couhins-Lurton in 1968. Since then the new owner, the agricultural research centre INRA, used this property for... agricultural research. And the agricultural researchers themselves drunk the wines (part of the research probably). But since a few years Couhins is sold through the Place de Bordeaux. The 2007 is impressive, especially when looking at its price-quality ratio. The wine has a rich yet soft texture with inciting beams of acidity shooting through - every corner of the mouth is touched. The nose, like Reynon, has some animal treats, but it remains at the good side here. Some oak can be sensed (on the tongue), but that is nicely interwoven with the fruit. A graceful wine with plenty of concentration. Rich and complete. Spirited! I tasted these wines to decide with which I would (continue to) 'work'. I made my decisions. And should you be curious to actually taste the chosen ones, please feel free to visit my shop. 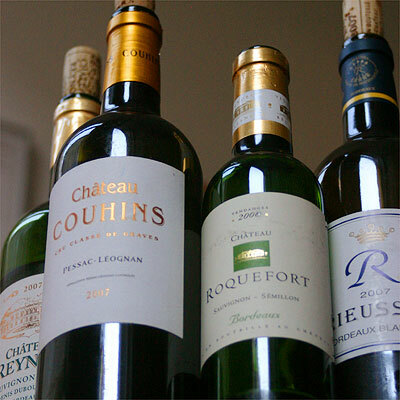 Besides the Roquefort and Couhins you will only encounter wines that, like Roquefort and Couhins, are truly worth being uncorked.